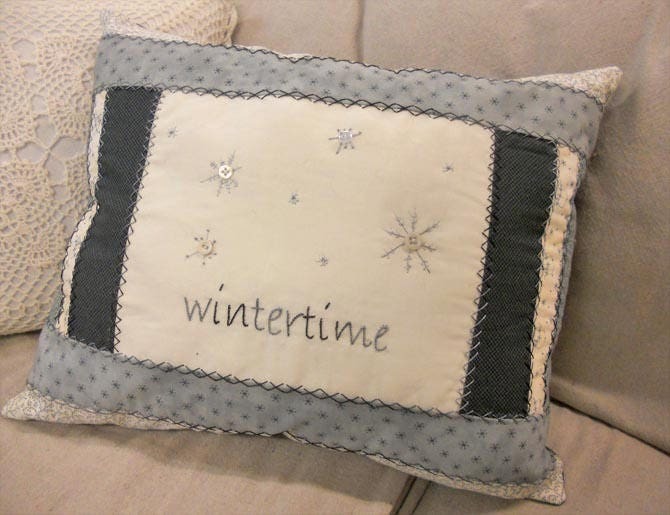 This pillow is the perfect project to celebrate the chilly season. Shades of midnight, clear blue sky, denim, grey, and vintage white bring these dancing snowflakes to life. 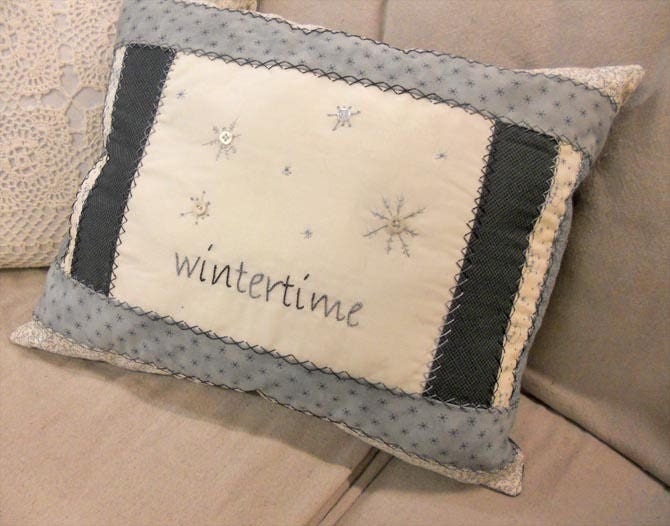 Wintertime is the perfect project to stitch while cozying up next to the crackling fire and sipping a cup of coffee, tea, or hot cocoa. Pillow measure 16 x 20 inches. Kit includes: Front, back, threads, buttons, and pattern. Kit will be identical to picture. Your kit WILL include: fabric for front and back, thread, buttons, and pattern. Refer to your favorite embroidery book for stitches.